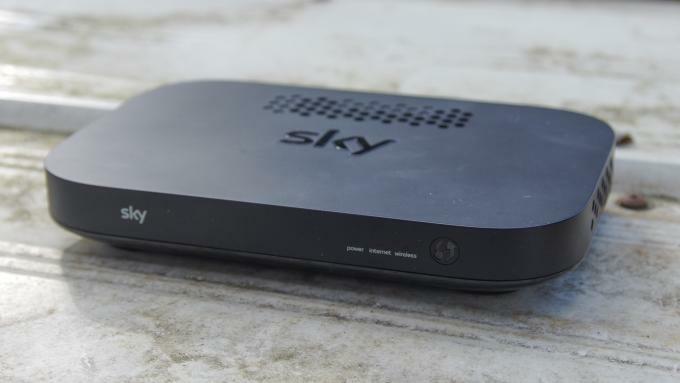 The Sky Q Hub isn’t for everyone: it’s specifically designed to work solely with Sky’s own broadband services, so it’s off the table if you’re set up with a different broadband provider. Frankly, though, you’re not missing out on much. Probably the best aspect of the Sky Q Hub is its tasteful low-rise design, which makes it an inconspicuous presence in any living room. The minimal approach comes with a downside though: there are no USB ports, and just two Gigabit Ethernet sockets. That immediately makes the Sky Q Hub the worst – connected router on test this month. Open up the Sky Q Hub’s web portal and you’ll note that there’s also no VPN server, nor any provision for a secure guest network. Parents may be pleased to see the option to set up a custom access schedule, but it’s pretty much useless, as you can’t apply it to individual clients – either everyone or no one has access at certain times. On a more positive note. Sky subscribers can use Sky’s Broadband Shield service to block unsavoury websites, and the router interface lets you blacklist not just specific URLs, but also sites containing specified keywords. The best aspect of the Sky Q Hub is its tasteful low-rise design 17MB/sec. and once we stepped into a different room, the Sky Q Hub’s performance plummeted into last place. If you also subscribe to Sky Q TV services, then the main Sky Q box and any mini units around your home will double up as wireless extenders on your network. It’s a clever bit of engineering that should improve matters considerably. If you don’t have Sky Q TV services, you’re on your own. You’ll gather from the above few paragraphs that we’re not fans of the Sky Q Hub, even if it does come free with your Sky broadband subscription. Annoyingly, even if you are a Sky broadband customer, the ISP doesn’t officially support third-party routers either, so you can’t just swap it out for a better one. You can still upgrade your experience, however, by finding a router that will plug into to the Q Hub and serve as a more effective wireless access point – and we strongly recommend that Sky broadband customers do exactly that. Severely lacking in features, performance and range. At least it's free with your ISP.